Jim Corbett is the Best National Park is a forested wildlife sanctuary in northern India's Uttarakhand State. 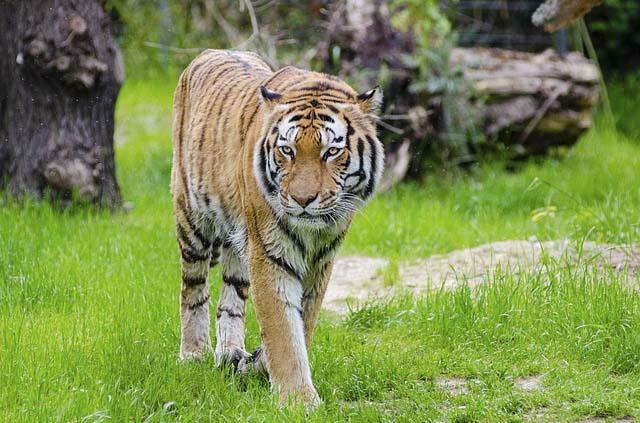 Jim Corbett National park is well known for project tiger initiative. The park is fully covered with a variety of trees. Home to the exquisite diversity of fauna and holding room to carry forth multiple adventure with family and friends, Jim Corbett National Park is a beautiful place where one can feel the freshness of the trees, enjoy in the lap of climate under the umbrella of infinite joy and loveliness. Originated as 'Hailey National park' and changing its name to Corbett National Park after the independence, it is an integral part of 'Project Tiger'. The reserve represents the blend of Kumaon and Gharwal area as marked by its location falling under the Nainital district of Uttarakhand. Not only does it preserve and secure the species of endangered animals but also the area is interspersed with the distinguished variety of trees, birds and fishes. Surrounded with the dense forests and marshy grasslands while enjoying the safari, one can definitely not fail to notice the breathtaking wonderful scenic beauty of the place. Starting from Bengal tigers to Sal trees giving shelter to enormous birds to the river impregnated with migrant fishes and other aquatic animals, no wildlife lover or a tourist would go empty handed because his eyes will be captivated with the serene and tranquilizing beauty of valley and every species. As one says that the beauty lies in the eyes of the beholder, nature here offers something that could make your heart flutter and can fill you with delight. The primal way to reach Corbett National Park is to reach Ramnagar, a small city with a connection to rail and road networks flowering with major cities of India like Delhi, Moradabad, Nainital and Bareilly. It will take an hour at most to reach Corbett National Park once you reach Ramnagar which is 15 kms away. RoadwaysYou can board a bus (Uttarakhand Roadways) from Delhi, Moradabad, Haldwani or Nainital that will take you directly to the destination. Also, you can hire/book a car for some days from a travel agency and negotiate the traveling cost. RailwaysTravelers can board the train for Ramnagar Station from the major cities of India such as Delhi, Moradabad and like. Some of the trains are even directly scheduled to Ramnagar. From Delhi you can look for Ranikhet Express, Corbett Link Express and Kathgodam Express. The Tourist Zones- Categorized in five different zones, the buffer or core area of the park is chosen for the Corbett Tourism. This offers safari of different kind and allows the people to contemplate the beautiful location with their naked eyes. Bijrani Safari Zone-With the distance of only 1 km away from Ramnagar District, Bijrani Safari zone is the most popular of all zones among the tourists for its abundant natural habitat and open marshy grasslands. Jhirna Safari Zone- Located 16 km away from Ramnagar city, this zone remains open throughout the year and caters tourist's attention for wildlife sightseeing. Dhela Safari Zone-It is rich in flora and fauna, remains open throughout the year and is the only zone open to tourists in CTR. Dhikala Safari Zone-Enormous in size and wide-ranging zone, this zone has inexhaustible alluring natural beauty and striking fauna. It is recommended to have a stay here at least a day. Durga Devi Zone-Located in north-eastern side of the park, Durga Devi zone incorporates atypical species of birds that might wonderstruck you. The oscillate landscape provides a splendid opportunity to see leopards and tigers. It remains closed during monsoons. Sitabani Buffer Zone-A forest area which doesn't fall under core Corbett area but comprises of dense forest inhabited by exotic wild animals. The locale is very serene and peaceful. Fine restaurants are available offering multi-cuisine food. But do not afford to miss the local Kumauni delicacies such as Bhaang ki khatai, kappa, sisunak, saag, aloo ke gutke, rus which are the other popular exotic dishes. In a beautiful place, everyone would expect a decent stay. Regenta Resort Tarika, Jim Corbett is one such option offering a lovely view of hills and parks and greenery it is surrounded with. The refreshing soothing splashes of Kosi River would instill you with excitement and rejuvenation. Regenta Resort not only provides the nicely structured cottages and guestrooms with the amenities but also it provides their guests with other exclusive options. As it has the biggest banqueting spaces in the town, you may find it an ideal place for conferences, weddings and other business events. Also, the resort extends the dining services serving the multi cuisine food and comfortable ambience. 1.The ideal time stretches from the month of October till June. 2. It would be preferable if you have assured bookings in advance when peak season and weekends calls. 3. You must be pre-planned and handy. Keep the schedule of safari in knowledge so that you don't miss it. 4. Carry water bottles and necessary medicines with you as one might face the problem of dehydration and trivial medical issues due to climate change. Also, carry sunscreen lotion or gel or cream whichever you can take hold of. Carry scarf in case you are allergic to dust. 5. Be in light coloured apparels so as not to distract or mislead animals. Make them comfortable and retain your excitement in the photographs and memories. It is very nice park. Good initiative for tigers. Park's greenery is awesome. I truly love this place.